Desi Smith/Staff Photo. 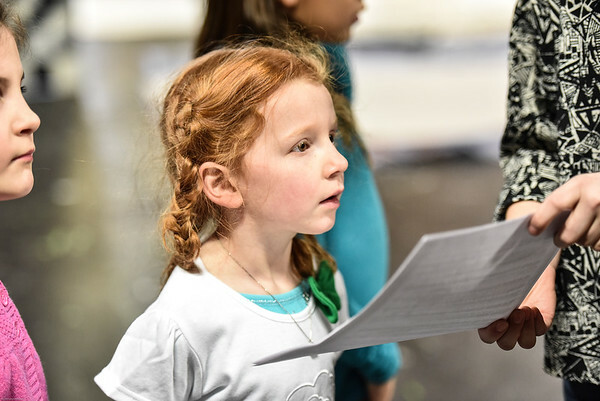 Naia Gibson, 6, of Rockport, runs through her lines, as she and others take part in Youth Acting Workshop held at the Gloucester Stage Company Friday afternoon, run by Acting Teacher and Workshop Director Heidi Dallin, along with Costume Designer and Guest Instructor Lara Jardullo and Artist and Guest Instructor Annika Rosenvinge, students are learning how to create characters, staging and memorizing lines for the scenes in Late Red Riding Hood and Annie. March 6,2015.